The Revolutionary First Aid System The innovative SmartCompliance program redefines first aid with two powerful components, innovative cabinet design and the SmartTab ezRefill system, creating the most comprehensive solution available today. Creative Rewards is an authorized reseller of these OTC products. Authorized Reseller of dynarex Medical Supplies. Special pricing for Government & Law Enforcement agencies. 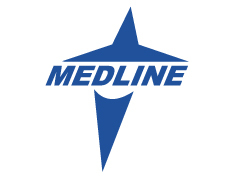 Creative Rewards is an authorized reseller of Medline Medical products.